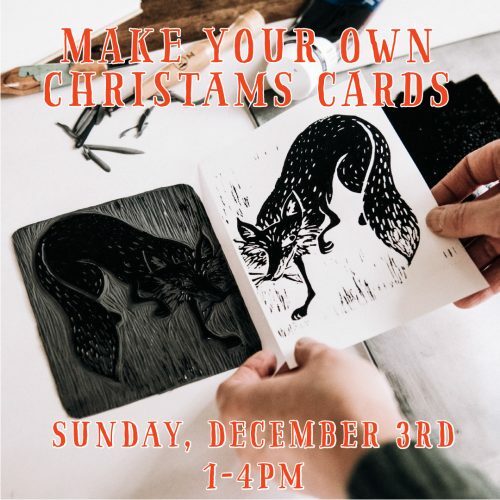 Make your own Christmas Cards at Strange Fellows on Sunday, December 3rd! In-house brand artist Christine Moulson will be on hand 1-4pm to demonstrate basic relief print-making techniques so you can produce your own personalized series of cards. Come grab a beer and get creative! $5 materials fee for 5 cards.